lol maxed out Siegrid on the day I got her swimsuit form. Run Event Quests to get Sky Blue Shells to exchange for items on the event page, and earn Hearts to increase Intimacy. 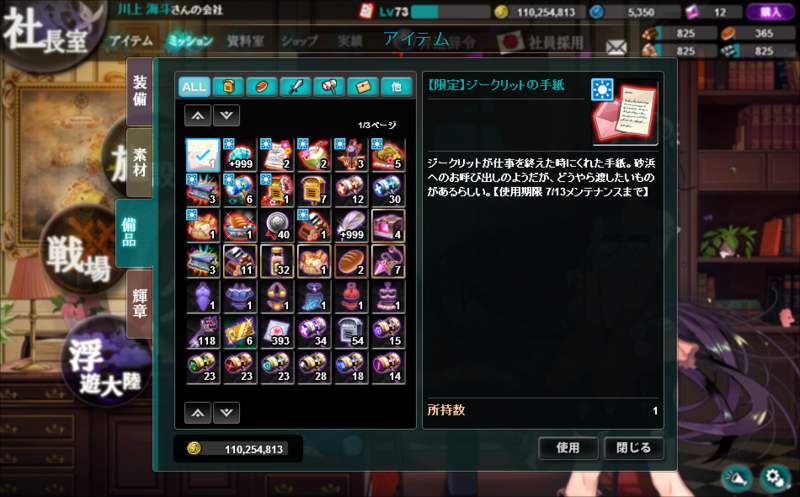 Event Quest can also drop papers that activate the Critical Work quest which drops materials for a craftable accessory. 100 Hearts = 1% Intimacy. What ticket I should do with Shaved Ice for the max exp gain? I missed the ending notice including this, but the Exploration feature will end prematurely at midnight (2 and a half hours after this post). Any items currently in Exploration will simply be lost. As a reminder, all Event items (items that are labeled [Limited] or have the event logo on it), will expire with the maintenance. The current set of Swimsuit girls will become unavailable after the maintenance. Event recipes will be removed, but any crafted equipment will remain. The Swimsuit girl's exclusive weapon recipes will remain. Don't forget to use the apple candy. Only one I didn't get was Rose. Somehow I got 3 Monique dupes, 1 Kristin dupe and 3 Loviisa dupes... overall, a generous event to me.